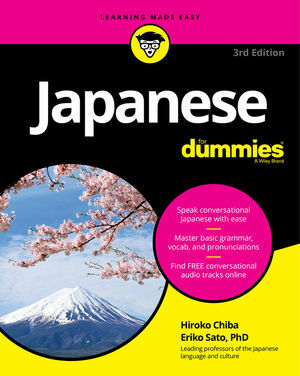 This resource center is an interactive addition to Japanese For Dummies, 3rd Edition, with bonus material created to help you better understand the concepts and techniques from the book. You can navigate to your desired audio clips by selecting individual tracks in the content menu. Please note that the audio tracks do not feature any video, so the player will display a blank screen while playing. If you would like to download the audio tracks for offline playing, use the Download links provided below. Be sure to download to your computer first, unzip the file, then transfer the audio files to any portable devices after that. Visit these pages for more information about Japanese!